The Level5 Automatic Taper brings an unprecedented value to you. 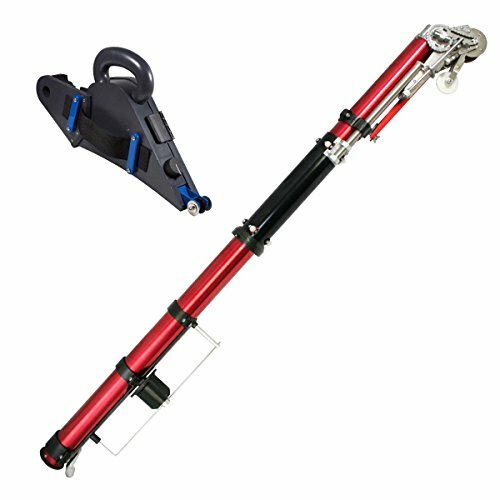 Recently redesigned with additional features that include: Adjustable Roller Brake that lets you control resistance on the main taping wheel. Adjustable Cutting Spring Tensioner puts you in control of the resistance on the cutting chain. Molded Cutter Tube Guide creates a smoother glide and easier cuts. Molded Tape Holder & Creaser Trigger Assembly is lighter, more durable, and no more broken hinges like the competition. The Level5 Taper is an ideal place to start with automatic drywall taping tools, or add to your drywall tool lineup. All-Wall recommends Level5 tools for contractors that are looking for exceptional value in automated taping and finishing systems. New Level5's have an exceptional 5 year warranty - often for the same or lower price than used tools! The Delko Banjo Taper is becoming the industry standard for affordable drywall taping banjos. It is a Homax style banjo made of rugged, shockproof plastic that holds up to abuse. This is a perfect tool for taping smaller areas, tight corners where a full size taper won't fit, closets, small jobs, etc. Just attach a roll of tape to the tape wheel, run it through the taper, and fill the banjo with mud. The banjo applies the perfect amount of mud to the tape (mud flow is adjustable with the control valve). Roll pre-mudded tape onto joints directly from the banjo using the attached applicator, then skim with a joint knife to embed tape press out excess mud. Professional quality taping tool at a great price PLUS a FREE Banjo taper for closets and small taping jobs. Level5 Automatic Taper is a professional quality taping tool at an affordable price. Great place to start with automatic taping tools or to add to your drywall tool lineup! This kit sells for the same price as the Level5 taper alone, and includes our best selling banjo at no cost! Banjo is made of rugged, shockproof plastic and includes flat applicator wheel. Internal applicator creaser wheel available separately. If you have any questions about this product by Level5, contact us by completing and submitting the form below. If you are looking for a specif part number, please include it with your message.